One of the distinctive features of Hinduism is the worship of devis or feminine deities which is a very ancient and popular tradition. The Indus people worshipped some form of Mother Goddess. The vedic people worshipped female deities along with gods such as Indra, Varuna, Agni and Brahmanaspati. Aditi was the mother of gods. She gave birth to the Adityas or the solar deities. Saraswathi was the goddess of learning who was compared to a river. Lakshmi was the goddess of wealth. She brought happiness and prosperity through harmony, bestowing cattle and good crops on people who invoked her. The earth was compared to a mother while the heaven to Prajapathi, Indra or Brahmanaspathi. Usha was the goddess of dawn. She symbolized awakening consciousness and heralded the arrival of the sun in his golden chariot yoked by seven ruddy horses. Uma Haimavathi of the Katha Upanishad, was the mysterious companion of the supreme Brahman, who acted as His emissary and imparted knowledge of Brahman to Indra, Agni and Vayu and helped them become the first and the foremost among the gods of devaloka. Then there was Yami, who desired the companionship and physical union with her own brother Yama, who was the Lord of the netherworld and epitome of justice. As the vedic religion expanded and assimilated other religions and sectarian movements such as Saivism and Vaishnavism, the Hindu pantheon acquired an interesting and complex character. The concept of Purusha, the universal male deity or the Supreme Self or God, and Prakriti, the universal female deity or the Mother Goddess as the primal and dynamic energy of God became popular. It became customary to associate one or more female deities with each male deity not only at the highest level, but at other levels also. Thus Lakshmi of the Vedic world was recognized as the consort of Vishnu, Parvathi of Siva, Saraswathi of Brahma, Iswari or Mahadevi or Iswara, Aindri of Indra, Varuni of Varuna and so on. Even asectic gods like Ganesha were associated with female divinities, Siddhi and Riddhi. In the process, the Hindu pantheon acquired the character of a large family (vasudaika kutumbam) of gods in which each major divinity headed a family of his own consisting of wives, children, vehicles, weapons, assisting deities and in some cases worlds of their own recognized as their abodes or habitats. 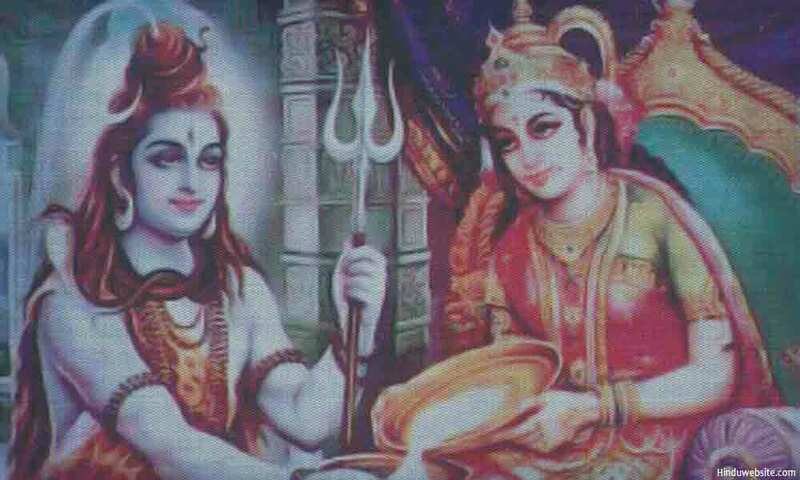 Saivism went a step ahead and personified the union of male and female principles of creation in the form of Siva as Ardhanariswara, the half male and half female. It is important to note that these developments were not products of someone's imagination but realization, during deep meditative states, of the existence of these divinities and their powers within oneself and within the cosmos. It was as a result of the internalization of ritual knowledge and ritual practice and the discovery of a whole new world within oneself. Some western scholars tend to call this process erroneously as vedic imagination, but it was realization of oneself as the highest self and the recognition of one's own divine nature and its universal character. It was an elevation of vision in which man found himself at the center of divine creation, as a tool by which all that was to be known could be known not by going out but by looking within oneself. Hidden within each human being is a blue print of the universe, the entire cosmic order and its structure. Science explores it by sending space missions or using extended means of seeing through powerful telescopes. In Hinduism we are advised to look within ourselves to find the universe that is hidden there. Our minds and bodies are perhaps the best and the most powerful telescopes through which we can fathom the entire universe that is hidden deep within. Patanjali's Yogasutras speak of siddhis or supernatural powers which can be acquired and used by advanced practitioners of yoga to perform similar tasks. Our scriptures describe each being as a microcosmic aspect of the macrocosm. If Brahman is the self of the universe, atman is the self of the individual. If the material universe with the planets, the stars, the elements, the worlds and the beings constitute the body of God, the physical and subtle bodies of a being are a universe by themselves in which reside some of the divinities that also reside in the material universe of God. Hindu mythology describe the female deities as fickle, possessive and subject to emotional outbursts. At the same time they describe them as the highest and purest of divinities, courted, loved and pampered by their consorts with unconditional love and undivided attention and from whom, in their purest states, they are inseparable and indistinguishable. Some of the divinities are depicted as vengeful and wrathful and some as lovable, kind and motherly. Going by the Puranas, these opposing behaviors are often displayed by the same divinity in different circumstances. In some cases, like that of Brahma and Saraswathi, their relationships do not stand the test of human morality. This seemingly contradictory behavior is quiet understandable. These divinities are energies that reside in the material body of the universe and also in the bodies of the individual beings. It is for general public we ascribe them human character and build a whole mythology around them. We all know that the energy levels in our bodies are never the same. They are constantly fluctuating and fickle. They ebb and flow depending upon what we do, think and aim for. They demand our attention, respond to our pampering and work for us to the extent we nurse them and care for them. Some are easy to invoke and some are difficult to find. These energies are both positive and negative. They can help us in our spiritual advancement or become obstacles on our paths depending upon how we use them or respond to them or which energies we invoke. They can potentially help us or they can destroy us just as any other tool or energy that we use in our day to day lives. Apart from worshipping these female divinities or powers in the temples and homes, seeking their help and support in our material success, we need to know them from a higher perspective and seek their help in our spiritual journey to achieve the four aims of human life, namely dharma, artha, kama and moksha. Knowing them is part of knowing ourselves. It is very vital to our spiritual practice and self awareness. In seeking their help we fulfill the divine purpose for which they exist. They are inseparable aspects of our physical and mental environments. They are as real as our minds and bodies. They are hidden in our individual energy fields and, whether we know it or not, want it or not, are constantly at work. Their presence is part of the divine plan, the mystery and secret embedded in our constitution and creation, by knowing which we can make our journey to freedom possible and real. Sri Aurobindo repeatedly emphasized that we cannot fulfill our spiritual aspirations and achieve self realization unless we surrender to the divine mother and let her do her work in cleansing and purifying our minds and bodies to facilitate the descent of higher consciousness. It is the mother goddess who does all the work. She cleans the cave of the seeker's heart and keeps it clean so that it can receive the rays of light without the taint of ego. It is important that through surrender and devotion we seek the help of our inner energies to ensure that we are purified and transformed enough to sustain higher levels of consciousness and the energies that accompany them and vibrate at much faster and subtler rate. The purpose of the yoga and the practice of its yamas and niyamas is essentially the same. It is to prepare the body and the mind for the experience of samadhi in which the body needs to sustain higher levels of energy that accompany the consciousness of Brahman. It is also important what energies we receive and what energies we seek through the food we consume. Some energies are obstructive and self-destructive. Some promote peace and harmony. Some promote negativity. The Bhagavadgita therefore advises people to distinguish sattvic, rajasic and tamasic foods and eat only those that promote the quality of sattva which is essential for spiritual practice and self-realization. In our bodies the female divinities play an important role for our material and spiritual well being. They are responsible for our successes and failures, our states of being, our health and our inner happiness. A myriad energies work consistently in nature and in our bodies to keep the wheel of life moving. We can identify some of them and some we cannot because we are not familiar with them. Some of them have become extinct because we no more use them. These are the female divinities of the past whom people worshipped at sometime but forgotten. Some of them are yet to be awakened because we do not feel their need yet. These are divinities of future who are presently awaken in only some select individuals or some other parts of the universe and who will dominate our consciousness and that of the earth in the times to come. The goddesses in our bodies and consciousness play various roles. They prepare our bodies for the interplay of various energies and different planes of consciousness by purifying them. They maintain our energy levels. They keep our inner balance. They control our emotional states and ensure that our actions are in tune with our thoughts and aspirations. They execute our wills and desires. They manifest our wishes. They clear the passage through which the kundalini arises. They energize the chakras as the kundalini moves through the spinal canal. They process the information brought by the senses and submit them to the buddhi for its processing. They quite the mind so that we can receive higher knowledge. They facilitate our learning and memory. They are associated with each and every activity of ours, both positive and negative and constructive and destructive. At the same time they also keep a record of our activities so that the soul is subjected to the laws of karma when the time comes. Some of them accompany us to the other worlds and help us in our transition. The energies of the universe, that exist both in the microcosm of an individual and the macrocosm of Brahman are personified in the Hindu theology not only as female divinities but also as weapons and vehicles of God. In Hinduism each god and goddess has one or more vehicles and use one or more weapons. The vehicles are energies personified as animals, birds and mythical beings on which the respective gods have control. By using them intelligently or by riding upon them we can reach their masters or attain the qualities and aspects they represent. The vehicles are the means to arrive at some destination with the help of its controlling divinity. Thus the swan personifies the power of discretion or buddhi. By using this power of discretion we can attain right knowledge with the help of Saraswathi, the goddess of learning and knowledge. Swan is also the vehicle of Brahma the creator. By using the power of analysis and observation, with the help of Brahma we can cultivate creativity, the quality symbolized by Brahma. Bull is the vehicle of Siva. It represents the raw sexual energy or libido. In tantra we use sexual energy to attain the consciousness of Siva. Tiger or lion is the vehicle of goddess Durga. The tiger is a symbol or majesty and courage. Using these energies or qualities we can seek the help of Durga to slay the demons of darkness and depression that are hidden in our consciousness. The owl is a symbol of wisdom and caution by using which one can attain wealth, with the blessings of goddess Lakshmi. We can minimize our egos to the level of a rat and seek the help of Ganesha to overcome obstacles, doubts and hesitations in the tasks we intend to perform or the projects we want to undertake. The weapons are also energies symbolized as devices and tools. They exist in us and we have access to them through the divinities who carry them and who exist in us. We can use the weapon of perfection and wholeness (the discus of Vishnu) to remove imperfections, inconsistencies and demoniacal qualities in our nature. We can use the trident of of Siva or Durga to balance the triple qualities of sattva, rajas and tamas. We can use the mace of Hanuman to disintegrate the evil qualities of inertia and tamas. Thus we can see that the divinities of Hinduism operate in the manifest creation of God at different levels. As adhidaivas (divine beings) they exist as cosmic beings or pure souls, ruling a world or celestial sphere of their own representing an aspect or function of God. As adibhutas (elemental beings) they have an elemental and material role in which they are part of the eternal supreme Prakriti and represent a principle or quality or function of the manifest universe. As adhyatmas (inner beings of mortals) they exist in their microcosmic aspect as both adhidaivas and adibhutas in our bodies and minds and assist us in our effort to seek deliverance from the cycle of births and deaths.